Le pop-up ePOD est une petite maison intelligente abordable, low-cost. 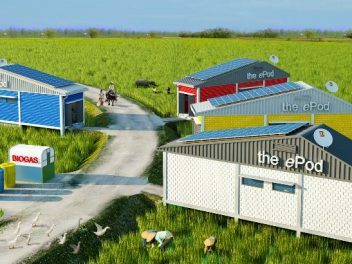 Sa particularité: elle peut recevoir des panneaux photovoltaïques et du Wi-Fi, et est idéale pour les personnes vivant dans les campagnes reculées et souffrant des coupures d’électricité. 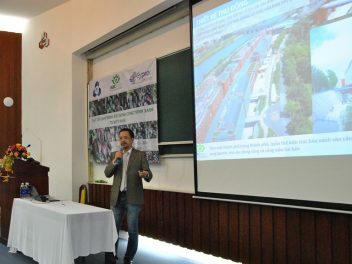 Architect DPLG Nguyen Chi Tam is invited as a Guest Speaker of “Holcim Prize 2017” at Hanoi Architectural University. 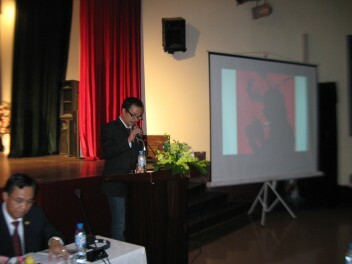 The subject of the lecture is about “because Green Design matters, because Architecture matters”. 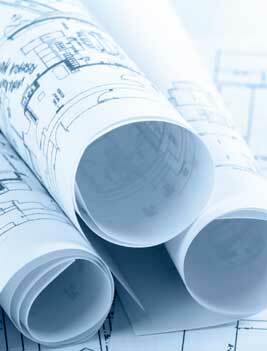 It means that a good design has good positive impact on community. 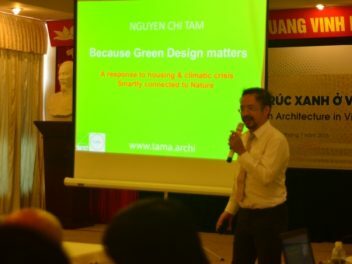 Architect DPLG Nguyen Chi Tam – Design Director of TAMA Architects is invited as a Guest Speaker of the course “Green Architecture in Vietnam”. 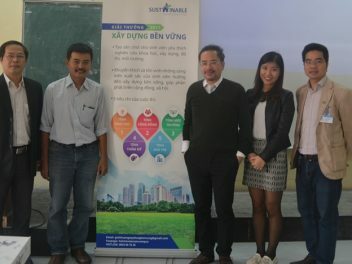 Architect DPLG Nguyen Chi Tam is invited as a Guest Speaker of the Green Building Training Program held at Hanoi University of Construction, where he was honored to share his experience about green building design and his Lotus – certified projects. 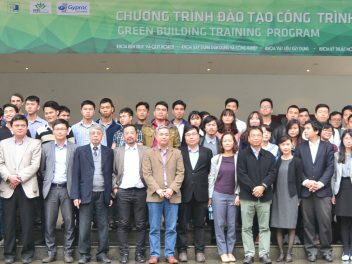 Architect DPLG Nguyen Chi Tam is invited as a Guest Speaker of the program “Green Building Process in Vietnam”. 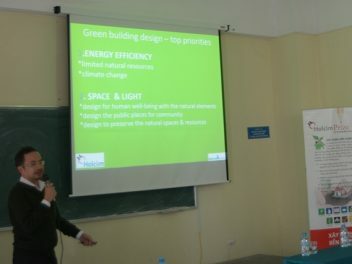 The subject of the speech is about Green Design Matters and Architecture Matters.